A lively evening event for locals and tourist alike to enjoy the creative side of life. Participating businesses will be keeping their doors open after hours to feature artist and their art. There will be musical performances, locals artists galleries, book signings, and all kinds of creativity. This month we unite with Humboldt Green week to celebrate sustainability in our community. 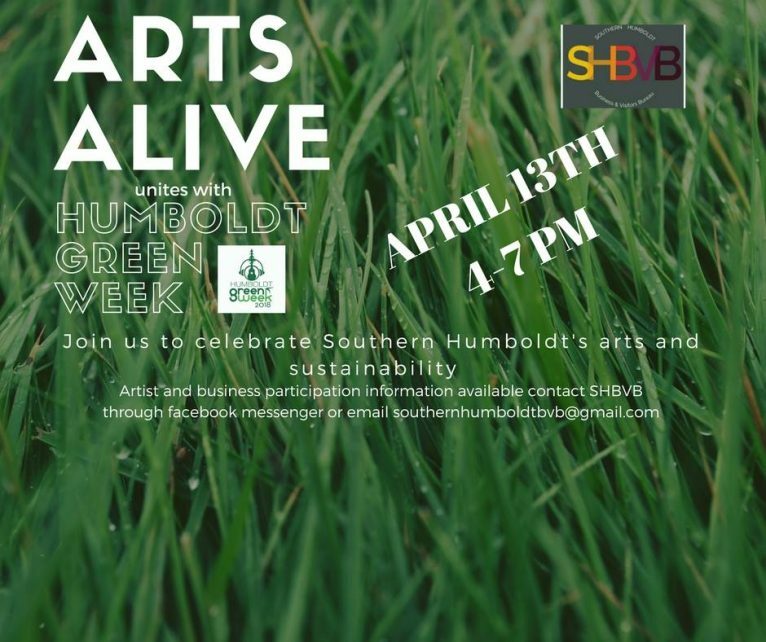 Humboldt Green Week is in its 12th year and continues to bring people together for events that enrich community. They believe in education through art, music and gardening events in which they assist our community in reaching its ultimate potential, in making the world a better place for generations to come. We couldn’t agree more! Cheers to that! Come sip, walk and enjoy the festivities in Garberville!